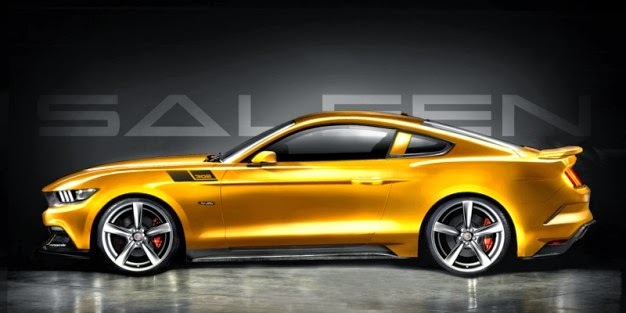 SALEEN 302 MUSTANGS COMING SOON!! As the introductory model to the Saleen S302 model lineup, the 302 White Label touts an incredible list of features in a single package. Keeping with the formula that Saleen uses to produce its instantly recognizable vehicles, the White Label model adds to the value element through increased horsepower, handling and styling. Utilizing a 302 cubic inch V8 engine this pony produces 450HP through a naturally aspirated configuration that keeps power where it should be, on demand. In addition to increased horsepower, each Saleen White label model also receives additional upgrades including Aerodynamics and Aesthetics, braking, and Saleen specific suspension components that all work together balancing out the 'Speed, Science and Style' trifecta that is embedded in each Saleen vehicle produced. As part of the Saleen manufacturing process, each vehicle is cataloged and serialized with its own unique Saleen VIN, a process that lends itself to the collectability and high resale values that Saleen vehicles have been known for over the past 30 years. Handling on the 302 White Label model is maintained by the Saleen S4 bushings, links and specific-rate suspension springs with ground control being managed by the Saleen styled 20" wheels and Z rated tires. Aerodynamics and Aesthetics on the 302 White Label include a rear valance redesign which incorporates a S302 specific package consisting of a high downforce rear spoiler atop a Saleen decklid insert. Additional Saleen specific aesthetics include model specific interior and exterior badging, reinforcing the amazing lineage that makes up this Saleen vehicle. Since 1983 Saleen has been putting 'Power In The Hands Of a Few.' The S302 Yellow Label puts power in your hands without all the extra styling of the Black Label model. Keeping with the formula that Saleen uses to produce its instantly recognizable vehicles, the Yellow Label model adds to the value element through increased horsepower over the introductory White Label model. Utilizing a 302 cubic inch V8 engine this pony produces a Saleen Supercharged 640HP giving this model incredible power increase over our introductory S302 White Label model. In addition to increased horsepower, each Saleen Yellow label model also receives additional upgrades including Aerodynamics and Aesthetics, braking, and Saleen specific suspension components that all work together balancing out the 'Speed, Science and Style' trifecta that is embedded in each Saleen vehicle produced. As part of the Saleen manufacturing process, each vehicle is cataloged and serialized with its own unique Saleen VIN, a process that lends itself to the collectability and high resale values that Saleen vehicles have been known for over the past 30 years. Handling on the S302 Yellow Label model is maintained by the Saleen S4 bushings, links and specific-rate suspension springs with ground control being managed by the Saleen styled 20" wheels and Z rated tires. Aerodynamics and Aesthetics on the S302 Yellow Label include a rear valance redesign which incorporates a S302 specific package consisting of a high downforce rear spoiler atop a Saleen decklid insert. Additional Saleen specific aesthetics include model specific interior and exterior badging, reinforcing the amazing lineage that makes up this Saleen vehicle.